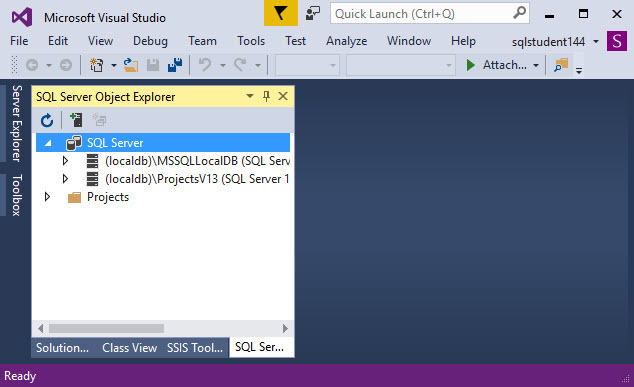 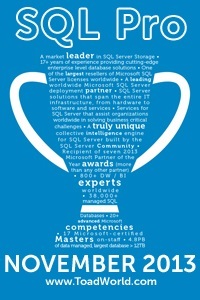 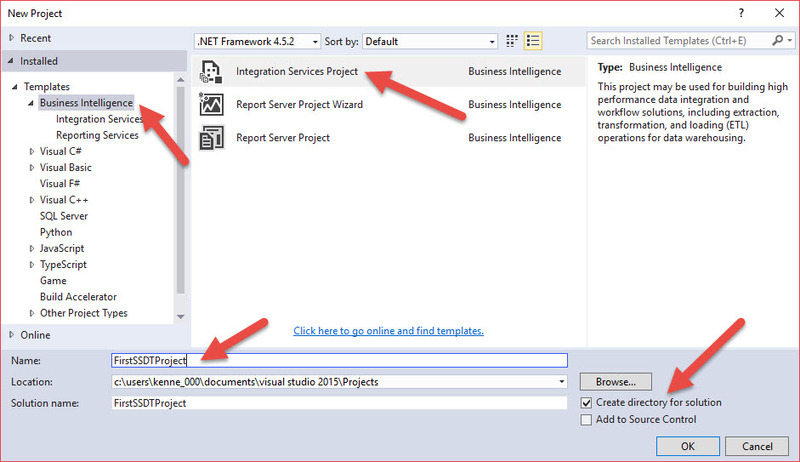 Now that SSDT (SQL Server Data Tools) has been installed the next step is to create a project. 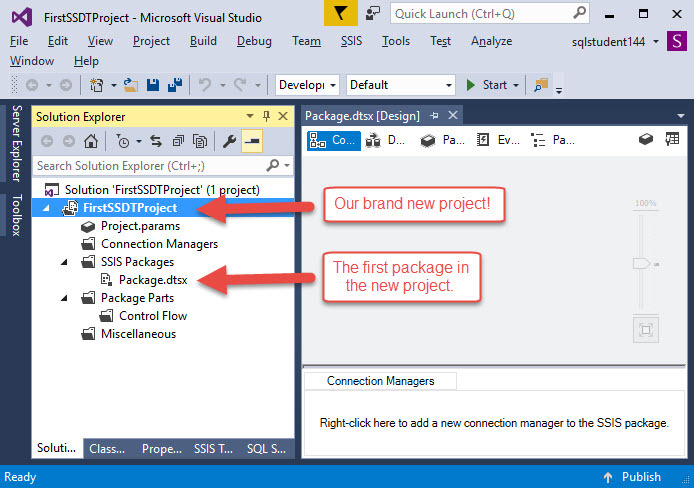 First, open up Visual Studios 2015 or SQL Server Data Tools 2015 (SSDT is really just a set of modules added to Visual Studio). 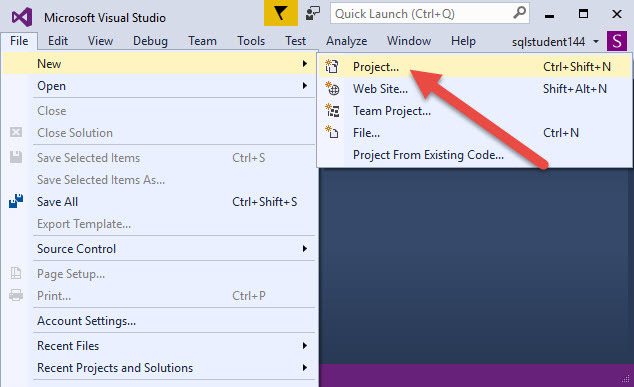 And once the project is done being created (and it does take a few minutes) it is automatically opened and ready to have stuff added to it.